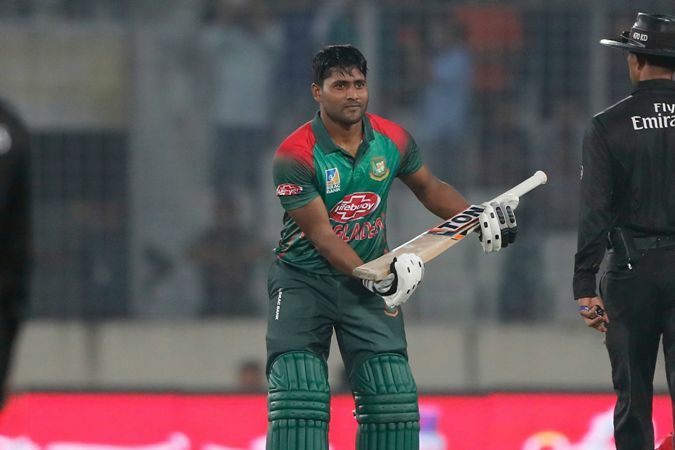 Bangladesh set a substantial total of 271-8 after a shaky start and sudden shocks in their first match against Zimbabwe at Mirpur’s Sher-e-Bangla National Stadium in Dhaka on Sunday. Opener Imrul Kayes struck his third ODI hundred and scored 144 runs of 140 balls . Earlier, Bangladesh skipper Mashrafe Mortaza won the toss and elected to bat first in the first match of three match ODI series against Zimbabwe. Thirty year old Fazle Mahmud debuts for Bangladesh while all-rounder Saifuddin gets in. Zimbabwe: 1 Hamilton Masakadza (capt), 2 Cephas Zhuwao, 3 Craig Ervine, 4 Brendan Taylor (wk), 5 Sean Williams, 6 Peter Moor, 7 Sikandar Raza, 8 Donald Tiripano, 9 Brandon Mavuta, 10 Kyle Jarvis, 11 Tendai Chatara.